I probably wouldn't wear a short skirt if those were my legs. 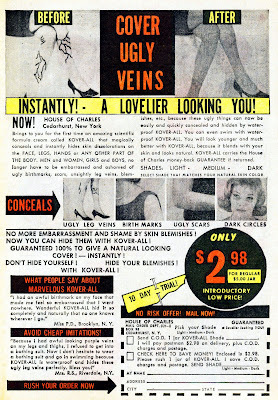 If you have veins in your legs that look like that, you have a problem that no cream can cure. Also, that lady with "dark circles" has clearly been beaten.